The main 8 MP camera features autofocus and a LED flash, while the front shooter only allows taking 2 MP selfies and uses a fixed-focus lens. 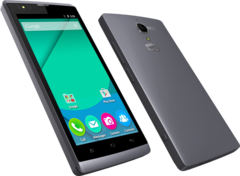 Micromax has quietly unveiled a new entry-level smartphone with 4G LTE connectivity, the Canvas Blaze 4G+. The dual-SIM handset comes with a 4.5-inch display with FWVGA (854 x 480 pixels) resolution. 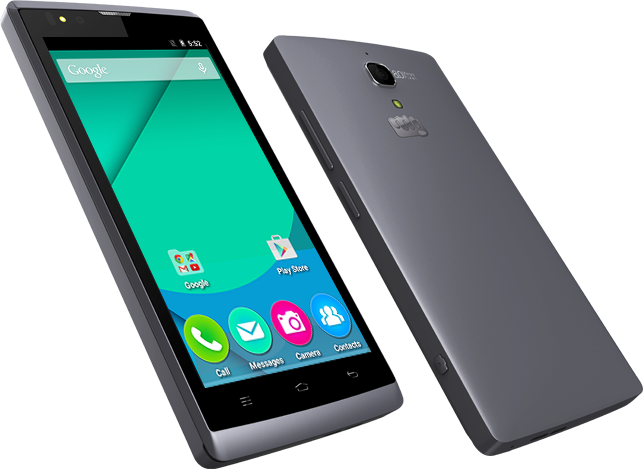 It's powered by the quad-core MediaTek MT6735M processor, clocked at 1 GHz, accompanied by 1 GB of RAM. There's only 8 GB of on-board storage space, big part of which is taken by the Android 5.1 Lollipop operating system. According to the manufacturer, the 1750 mAh battery will allow for up to 5 hours of talk time or up to 200 hours of stand-by. The main 8 MP camera features autofocus and a LED flash, while the front shooter only allows taking 2 MP selfies and uses a fixed-focus lens. There's also a dedicated shutter release button to help fast photo capturing. No pricing information has been released so far, but the Canvas Blaze 4G+ is expected to be priced at roughly the same level as its predecessor, the Canvas Blaze 4G, which cost Rs. 7000 (approx. $105).